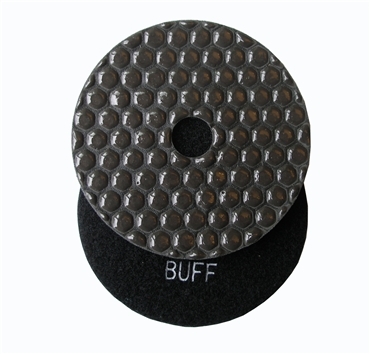 New matrix and high diamond concentration ensures fast polishing throughout pad's life. It works on granite, marble, concrete, travertine and other natural stones. Black buff is used to polish dark color stones to achieve high glossy finish.